Refurbished Unit. You may see minor scratches, but the unit has been checked to see that it fully intact. 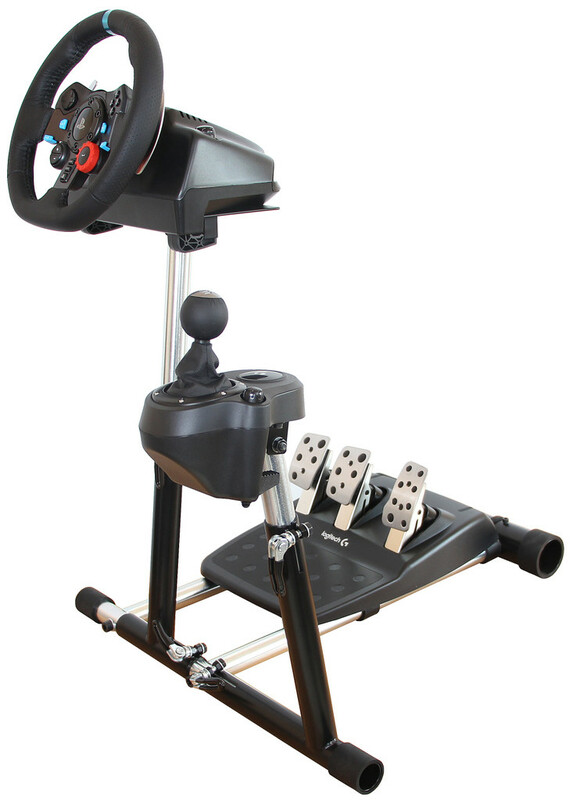 Wheel stand for your Thrustmaster HOTAS WARTHOG Joystick, Throttle and Saitek pedals. 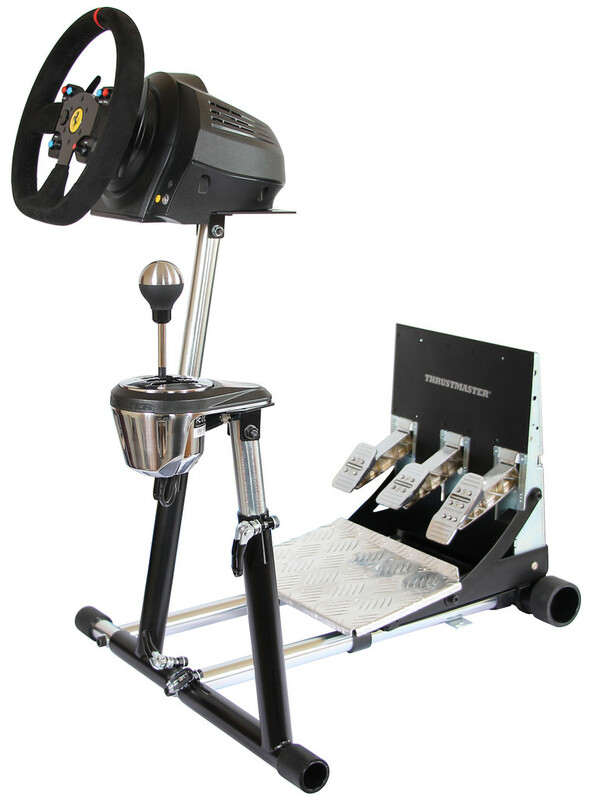 Joystick, Throttle and Rudder pedals mount securely to our wheel stand. Hardware included to mount securely to our stand. The heavy full metal construction supports the most punishing flight combat action by keeping the stand and the yoke stable. 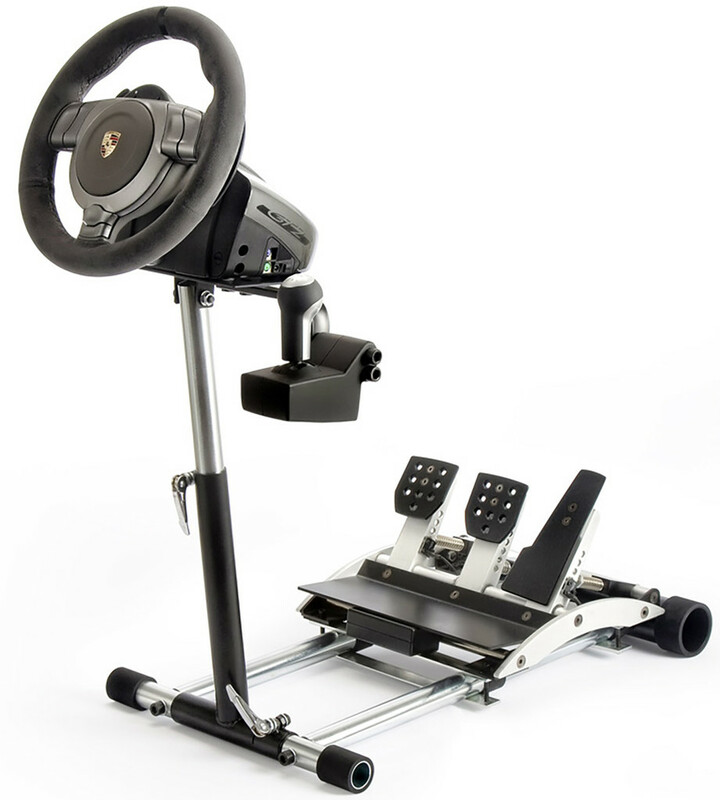 Your rudder pedals are hard mounted [not just resting on the base], so they will not move when you fly [important we think] and they will not fall off and pull the delicate wiring out of your expensive Joystick if your significant other moves the stand [again, important we think]. 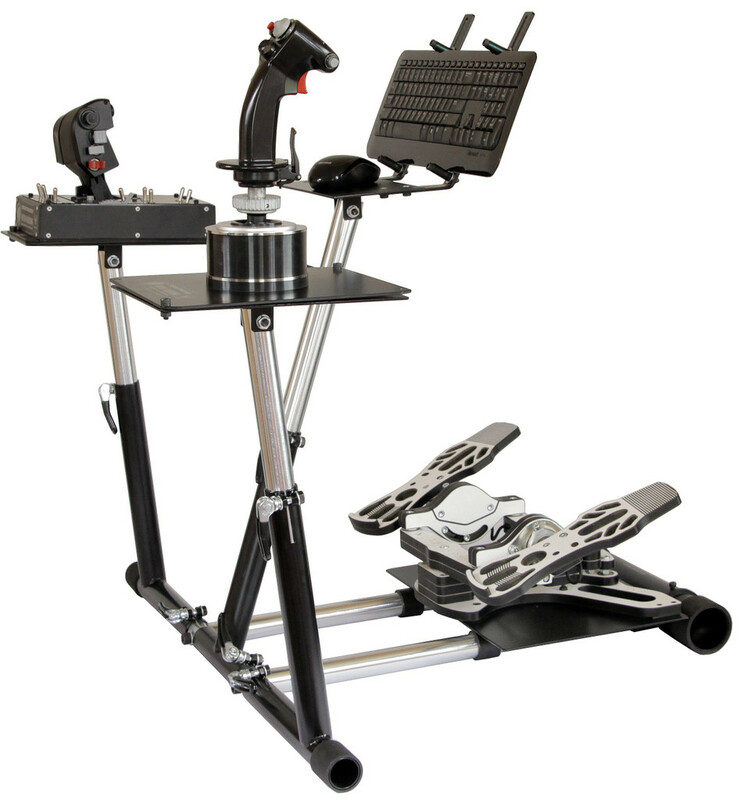 We provide all the hardware to securely mount both the Joystick and pedal/rudder control assembly. Hey, is that pole in the way? No. The stand was designed so that your legs go on either side of the pole. All flying maneuvers are unobstructed by the pole. The large tube at the back of the bottom rails can be quickly adjusted in or out to fit the tallest and the shortest of gamers. We have a person to answer your call, her name is Lucy, at 972-861-0140 [you can also text that number]. If she doesn't answer [ because she is in the warehouse or flying] it's best to leave her a message. She will call back, usually within 15 minutes if it's during normal business hours. We have video instructions on our site, customer have loaded up about a zillion YouTube videos, reviews etc. Did I say we have a real person? I should have said we have a real person who cares. Where is my Warthog and/or Saitek System?! There really isn't a Warthog/Saitek System in the box, you really have to provide those. All kidding aside, if you are asking a significant other to make a purchase for you, we recommend they give us a call ...we will help. We hear you. Still thinking that something so small can not possibly be as good as we [including multiple reviewers and thousands of Wheel Stand Pro customers] claim it to be. It's not a conspiracy; it's actually fairly simple. Strong, very strong construction. Think tank-like. Out of the box dimensions: The stand is 16 inches wide, 26 inches long and between 18 inches to 28 inches to the top of the plate [the wheel bolts to the top of the plate so your hands will be a few inches taller then this].